The Greece Regional Chamber of Commerce has been serving the community since 1984. We are the largest suburban Chamber in Monroe County, New York. We serve our members through providing high quality member events, marketing, training, bottom line benefits, health insurance, advocacy, networking and much more. -Health Expo (February) - A community event that highlights a broad range of health, wellness, and safety exhibitors. 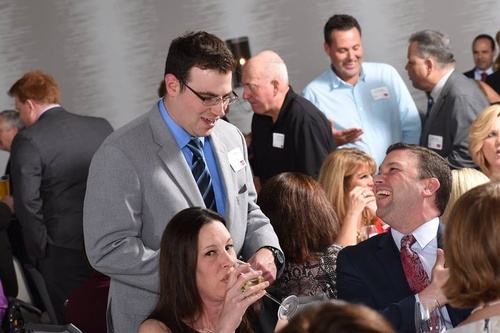 --Community Awards Gala (April) - This annual event honors the best businesses and citizens from our areas during a dinner gala program each year. --Youth Hall of Fame (May) - This annual award ceremony honors junior and senior high school students who have done something extraordinary in their lives. -Bluegrass at the Blue Barn (September) - A new community event that celebrates music, food, and spirit. --Small Business Awards (November) -- This event annually recognizes a Small Business and Microenterprise of the Year. This has become the premier local event for small businesses in our area. Located at 2402 West Ridge Road in the lower level behind Men's Wearhouse, and across the street from The Mall at Greece Ridge.